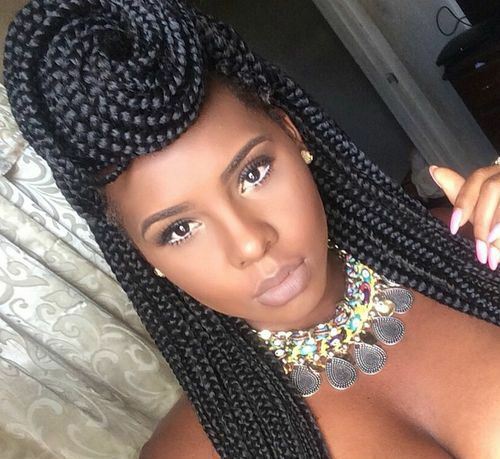 DIY box braid hairstyles are really easy to make and look totally awesome. You only need to get a hand on self-hairstyling and practice and only after a few tries they become very easy make and also look neat. This simple half up-done bun is a especially made hairstyle for thick braids. You can also take 1/3rd of your hair instead of exact half of it to make the bun look lighter and less huge. Twisted knots are only neatly doable with thin braids. This twisted top knot hairstyle looks brilliant and amazing. It also takes less than 10 minutes to make. The thinner your braids, the cuter and neat will become the final look. This exquisite looking hairstyle can be done in four simple steps as shown in the image. 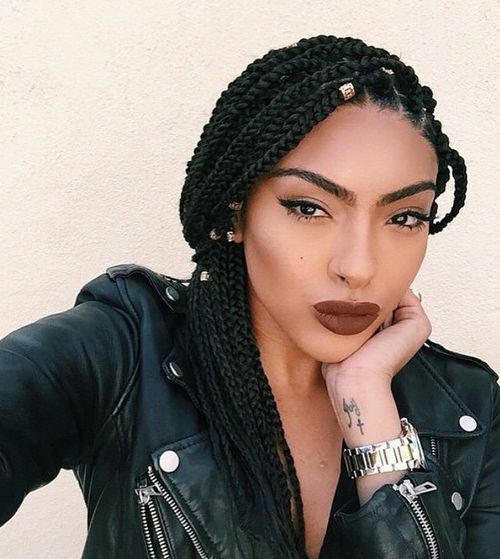 It takes very less time because of the thin box braids. 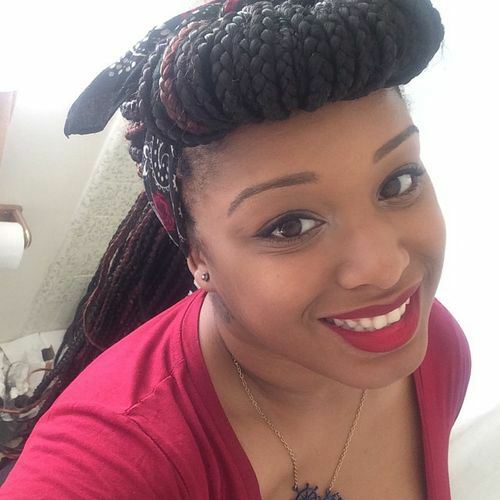 The heavy head band will make your hair look thicker and beautifully show off your box braids. 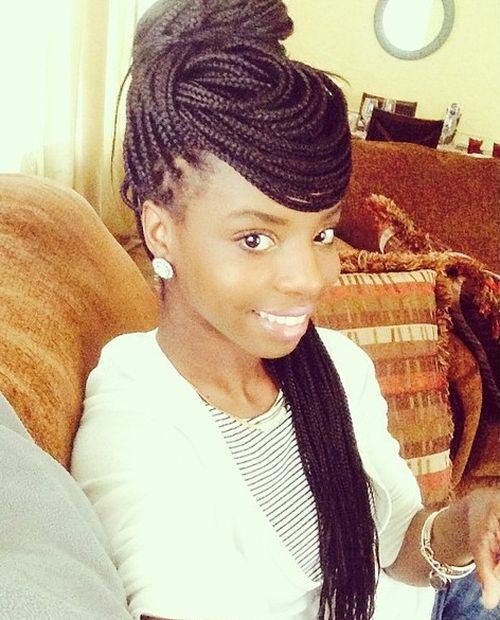 This is an extremely elegant and classy hairstyle for medium size box braids. 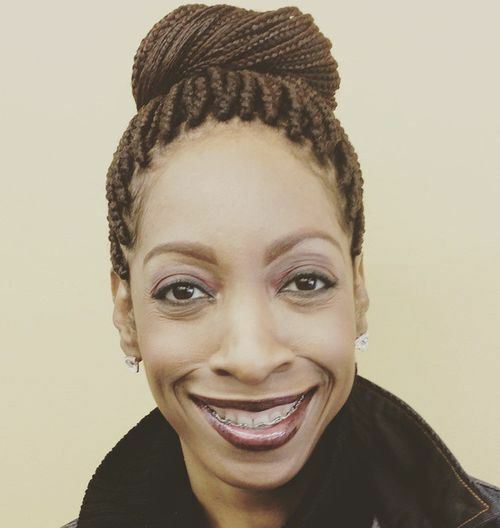 Tie all your braids in a high ponytail and twist the braids over the ponytail. It will give your bun a twisted and stylish look. Box braids can become pretty hard to manage at times. This simple hairstyle will give you your needed space and also look very nice and sophisticated. 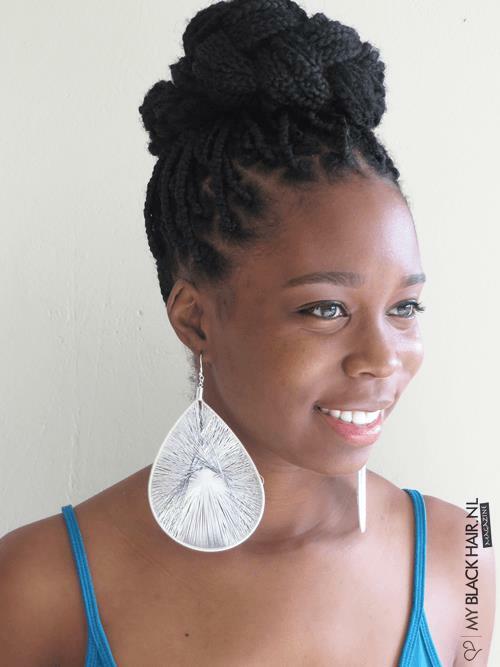 Divide your box braids in 6 – 7 equal sections on both of your shoulders and twist each section down to a low ponytail. It will take less than 10 minutes to make. 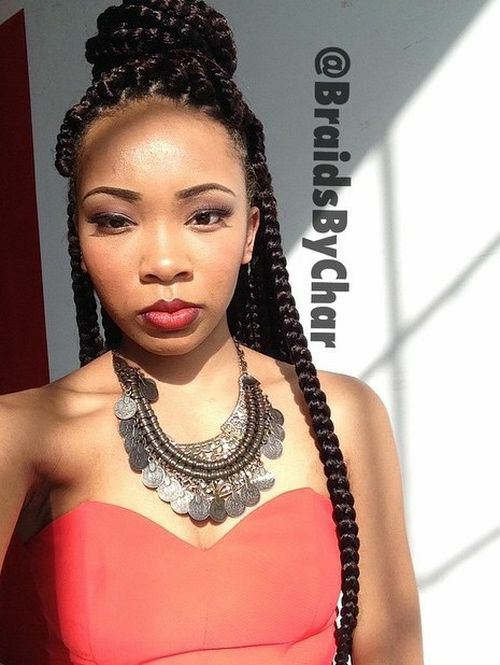 This is another hairstyle for medium sized box braids. You can add a little touch of creativity to the hairstyle with one or two colorful braids in the middle of the bun. This is a beautiful hairstyle for women with a relatively big build. 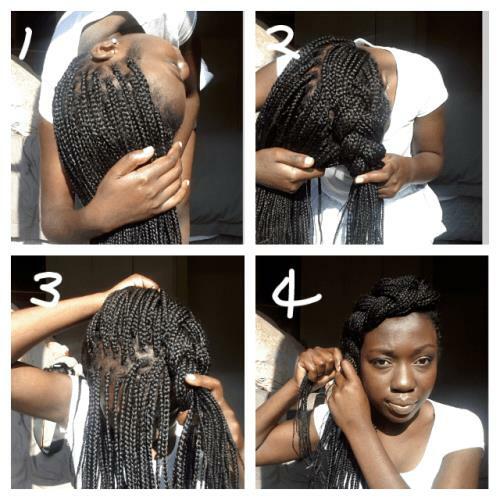 Start French braiding the box braids from the top of the head and keep braiding down just below the ears. At this point you can tie the braid in a knot to secure the French braid. There can be many improvisations with colored braids in between the French braid too! This beautiful hairstyle is like a definition of eloquence and class. 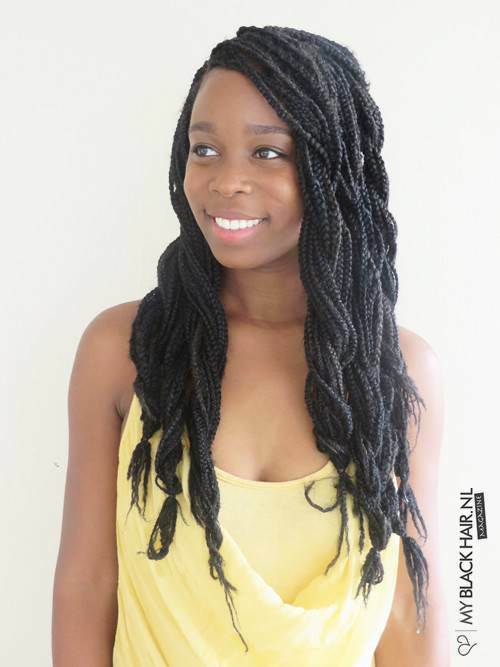 The best part about box braids is that any hairstyle you make looks extremely neat. For this hairstyle, make a simple long braid out of your box braids and tie the braid on the top of the head in a neat up-done bun. This is a very interesting choice for women looking for a dramatic hairstyling escape. The Cleopatra bun gives away the vibes of passion, forwardness and style. As enticing as it looks, it is also very easy to make and maintain. 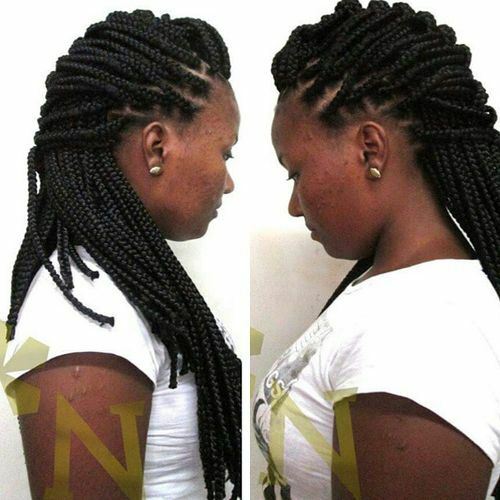 There can be many improvisations even to the simplest of box braid hairstyles. Hair accessories as that of beads make your hairstyle look modern and sophisticated.